Figure 1. Biologists find visual impairments in a kiwi population that lead them to believe that vision is unrelated to kiwi survival. Researchers of UC Davis School of Veterinary Medicine, in collaboration with New Zealand ornithologists, have observed multiple blind, healthy birds existing in a free-living avian population. These organisms from the genus Apteryx, commonly known as kiwis, are flightless birds native to New Zealand. 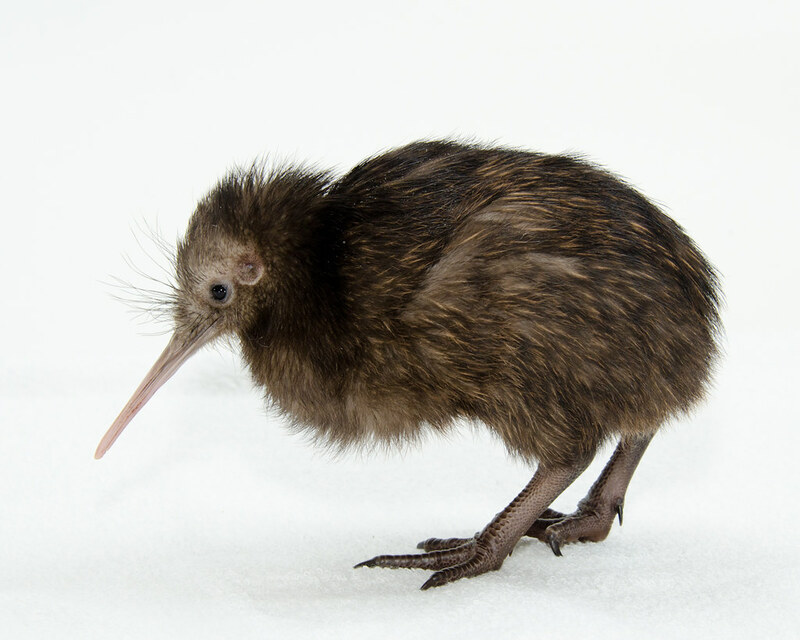 Although kiwis are predominantly nocturnal, unlike most nocturnal bird species, they do not possess the notable characteristics in their visual systems that allow them to better navigate low-light environments, specifically the large pupillary aperture and the red-dominated retinae. Kiwis have thus evolved to heavily rely on their three other sensory systems: auditory, olfactory, and somatosensory. Out of the 160 free-living Okarito kiwi (Apteryx rowi) examined, one third of the population carried phenotypically ocular abnormalities that affect vision in one or both eyes. The most common irregularity, found in 20 individuals, was corneal opacity, or scarring of the cornea that results in vision impairment. While deterioration of the visual system is common in captive birds, it has rarely been found in free-living populations. Furthermore, three individuals of the examined kiwi population were observed to be completely blind and in good physical condition, with radio transmitter tracking later revealing that all three individuals survived for at least four 4 years. As a result of this study, scientists of UC Davis hypothesize that vision in kiwi birds is not necessary for survival. One possible explanation is that the visual system in kiwis is in the intermediate stages of adaptive regressive evolution (i.e. the loss of a trait over time). Alternatively, this evolutionary vision loss is simply a result of the kiwi’s distinctive, nocturnal ecological niche. While the exact reason is yet to be determined, these ocular impairments in kiwis represent a unique opportunity to study the ecology and evolution of the vertebrate visual system.